The model has a coverage area that caps at a very humble 1/2 acre (21780 square feet) radius. 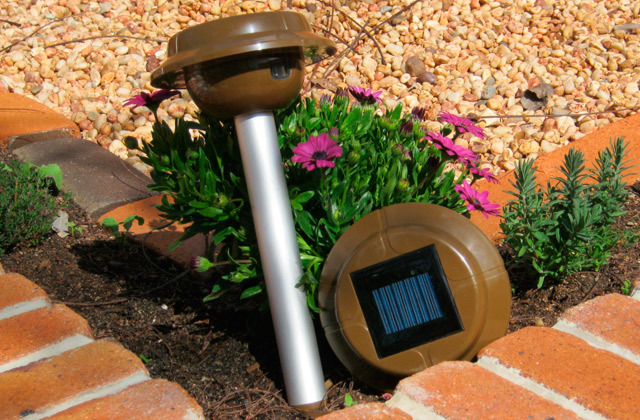 Incorporating the company's very own non-clogging killing grid, this mosquito killer solves the grid clogging issue, an issue that often leads to short-circuiting or causes flare-ups of insect remains in inferior devices. The power cord is really short. 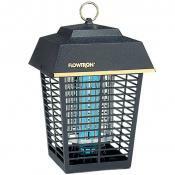 Flowtron BK-15D puts the "killer" in the "mosquito killer". 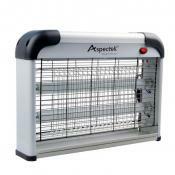 This thing is merciless, leaving insects no fighting chance. It works best in combination with Octenol lure that, surprise, surprise, attracts insects to the device, leaving the rest to the electrified grid. All in all, probably the best mosquito killer here. 8.5" x 8.5" x 13.5"
Producing mosquitoes' favorite 365 Nm wavelength light, the model excels at luring these ghastly creatures to the light source. The UV light is bright enough to attract insects but dim enough to not be a nuisance. The model is really easy to maintain. You'll need an AC-to-USB adapter to run it via the grid. 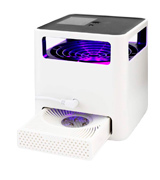 This mosquito killer from Cypropid combines technical excellence, functionality, and effortless utility. The somewhat futuristic profile meshes really well with modern interiors. 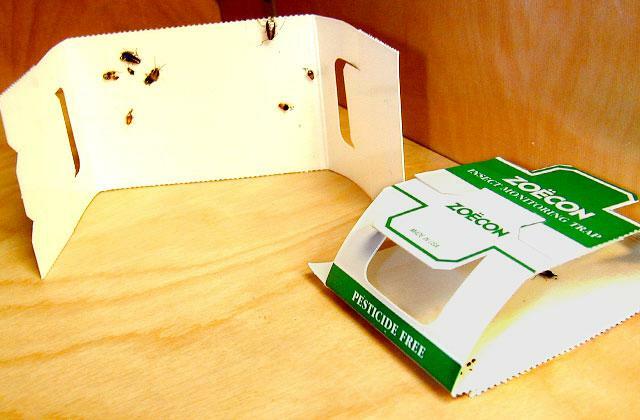 The dead insect container is larger than average, so you won't have to clean it all that often. Up to 530 sq. ft.
5.2" x 5.2" x 5.4"
The IPX6 rating makes the model's exterior highly waterproof. 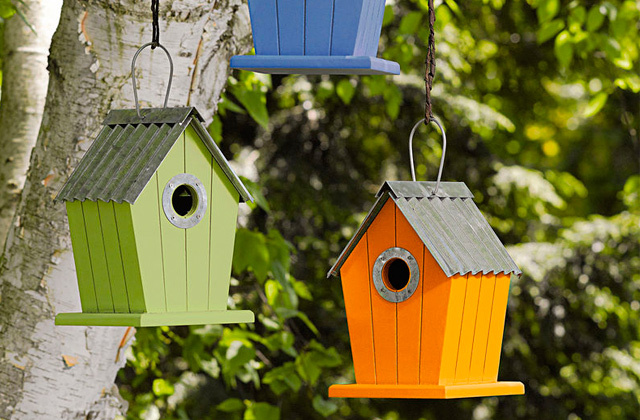 You can put it outdoors without worrying about the weather conditions. The built-in rechargeable battery can either give you 20 hours of runtime using the lantern-only setting (low light, ≥ 30 lumen) or 15 hours with the zapper-only function. The dead pest container is a tad too small. 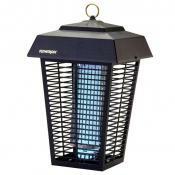 ENKEEO 213434001 is great both as a lantern and a mosquito zapper. 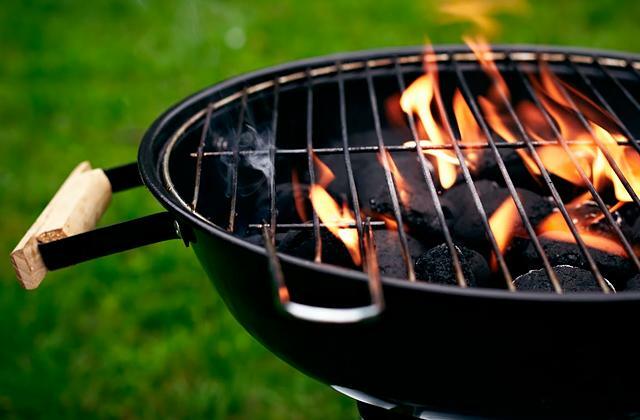 It weighs less than half a pound, so you can always bring it with you on a camping trip. The price is reasonable and the controls are really helpful. Up to 256 sq. ft.
3.5" x 3.5" x 5.1"
Noiseless, odorless, and easy-to-use, this mosquito killer doesn't inconvenience you in any way, shape, or form. Plus, it comes equipped with a smart optical sensor that detects the lighting situation in the room and automatically turns off/on when it is bright/dark in the room. 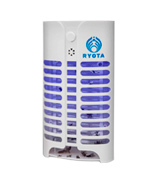 RYOTA Electric Bug Zapper is a great mosquito killer for indoor use that could fit most customers suffering from a mosquito issue. It doesn't cost a whole lot. It doesn't inconvenience the user. You can put it practically anywhere and the device will get the job done. 2.9" x 2.5" x 5.2"
The sticky glue boards are really easy to replace. A single pad usually lasts for about a month. You can power the device via USB or AC. 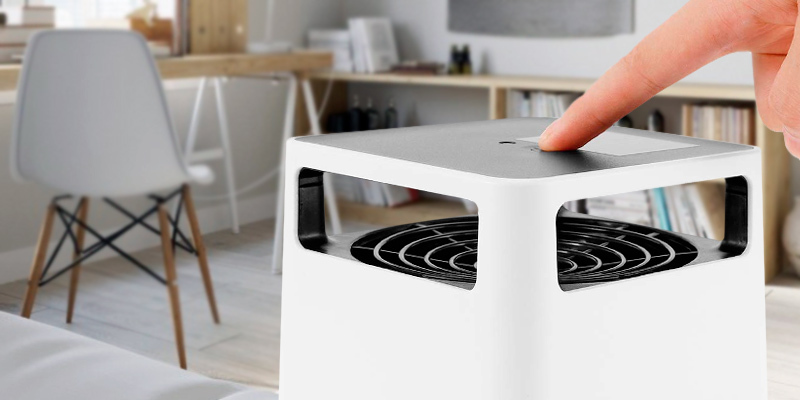 The Super Mode effectively executes every insect in the nearby vicinity in a few hours, while the Silent Mode lets you sleep at night without mosquitoes and noises coming from the device. The glue board loses its adhesive properties over time. 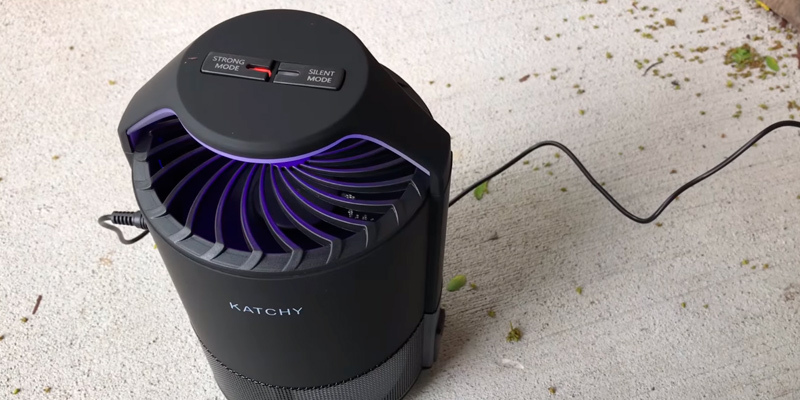 Katchy mosquito killer is a little different compared to every other device in this review. But "different" isn't a bad thing here. In some ways, it is actually a much more practical and effective product. Though not without its flaws, the model deserves a spot on our list. Up to 320 sq. ft.
5" x 5" x 8.8"
Flowtron BK-15D doesn't mess around. Where inferior devices won't get the job done, this thing will obliterate and send practically any insect in sight to kingdom come. Its sight, by the way, is 20/20 on steroids. To be more specific, the model has a coverage area that caps at a very humble 1/2 acre (21780 square feet) radius. As you can imagine, this is not a device for indoor use. 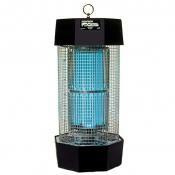 In fact, you might want to avoid putting this bug zapper & mosquito killer within 25 feet of human activity. Do not attach it to your house, deck, or any other similar structure. 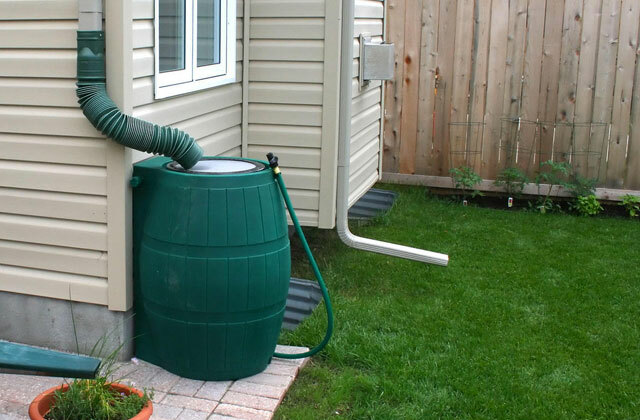 It won't be a good fit for your porch, patio, lawn. This is an industrial, large-scale killer. That being said, the device is actually cleaner and safer compared to its chemical counterparts. 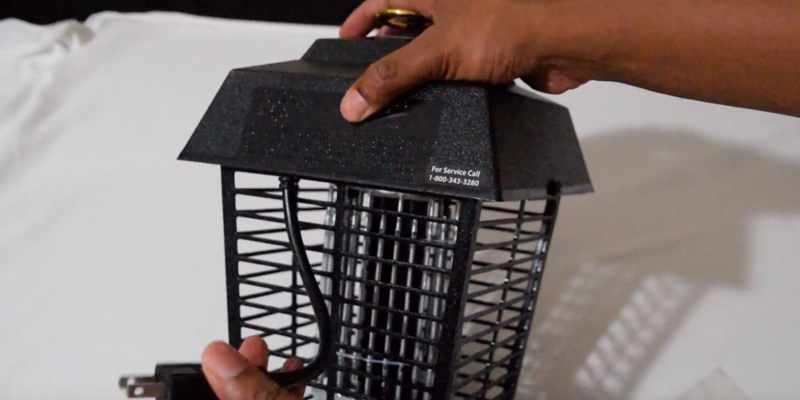 Incorporating the company's very own non-clogging killing grid, this mosquito killer practically eliminates grid clogging, an issue that often leads to short-circuiting or causes flare-ups of insect remains in inferior devices. 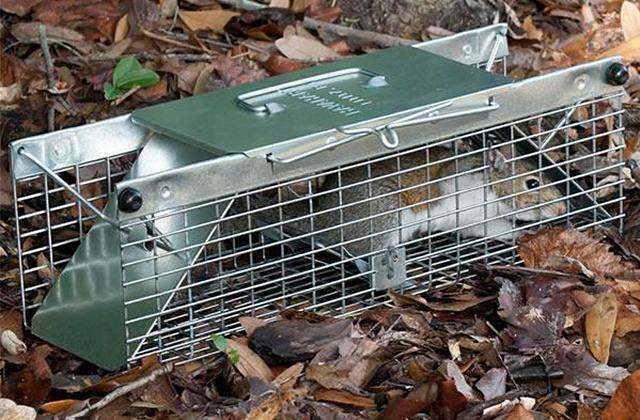 Plus, a protective outer enclosure prevents children, pets, or wildlife from contacting the electrified grid. Though gentle and forgiving to the latter, the high-impact housing is as tough and durable as they come, featuring a weatherproof polycarbonate layer that's virtually immune to adverse weather conditions. 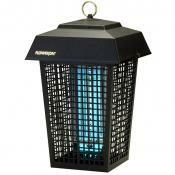 Bottom line, Flowtron BK-15D puts the "killer" in the "mosquito killer". This thing is merciless, leaving insects no fighting chance. It works best in combination with Octenol lure that, surprise, surprise, attracts insects to the device, leaving the rest to the electrified grid. 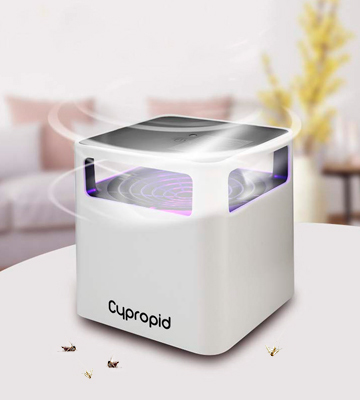 This trap lamp from Cypropid looks less like an insect killer and more like a high-tech printer, state-of-the-art medical equipment, or anything along these lines. Despite its futuristic, cool, but ultimately unassuming appearance, however, this thing is as effective of a killer as they come, the John Wick of mosquito killers, if you will. Well, now we're laying it on a bit thick here but, hopefully, you get where we're coming from. 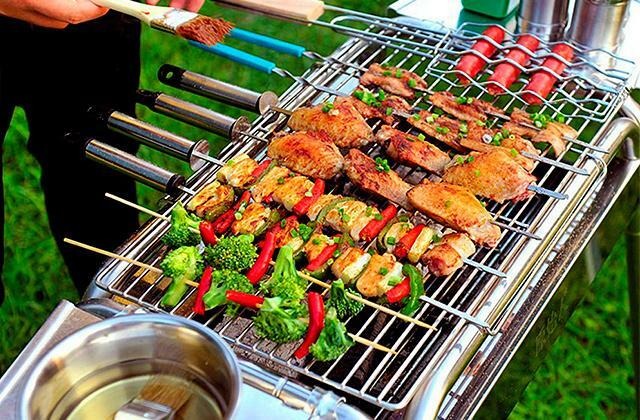 You can use this device both inside and outside. It is quiet but powerful, safe for people and their pets, incorporating neither electric noise nor chemical ingredients. For our taste, the best part about it is the "trap" part that the name refers to. Producing mosquitoes' favorite 365 Nm wavelength light, the model excels at luring these ghastly creatures to the light source. That's where a powerful fan comes into play, effectively neutralizing the threat. 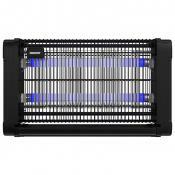 Plus, the UV light is bright enough to attract insects but dim enough to not be a nuisance. 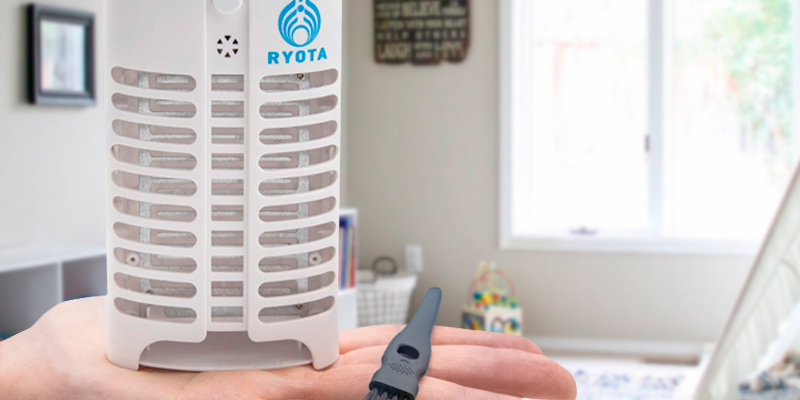 Maintenance-wise, this is probably the best mosquito killer on our list and you'll be hard-pressed to find a more convenient and hassle-free product. Just push the pop-up mosquito storage box button, dump insect bodies into the trash bin, and you're practically done. Long story short, this mosquito repellent from Cypropid combines technical excellence, functionality, and effortless utility. The somewhat futuristic profile meshes really well with modern interiors. The dead insect container is larger than average, so you won't have to clean it all that often. As far as yard protection from the pesky mosquitoes goes, this product is about as good as it gets. ENKEEO 213434001 (really rolls off the tongue, wouldn't you say?) 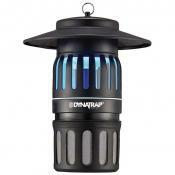 incorporates that classic camping lantern design with a modern take on the old formula. That modern take being the addition of a bug (mostly mosquito) zapper. 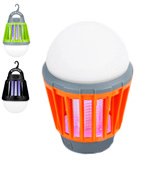 Featuring a 360nm - 400nm ultraviolet light, the device offers you a 16 x 16 foot mosquito-free zone. Now, we really like it, from price to functionality, but it's not like the product is without its flaws. Its coverage area is limited to a 256 square feet radius. Though it is suitable both for indoor and outdoor use, the model could definitely use some improvement in the coverage department. Some also find the dead insect container a little too small but that's more of a preference thing than anything else. 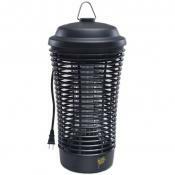 The advantages of this mosquito killer are numerous. It comes with a retractable hook, removable lampshade, and a plastic cage, all to protect you from touching the surprisingly dangerous inner wiring. The IPX6 rating makes the model's exterior highly waterproof. 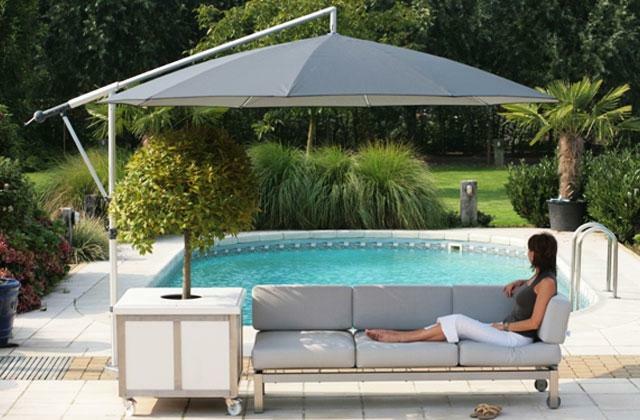 You can put it in your backyard without worrying about the weather conditions. Plus, it is perfectly possible to clean it under running tap water. 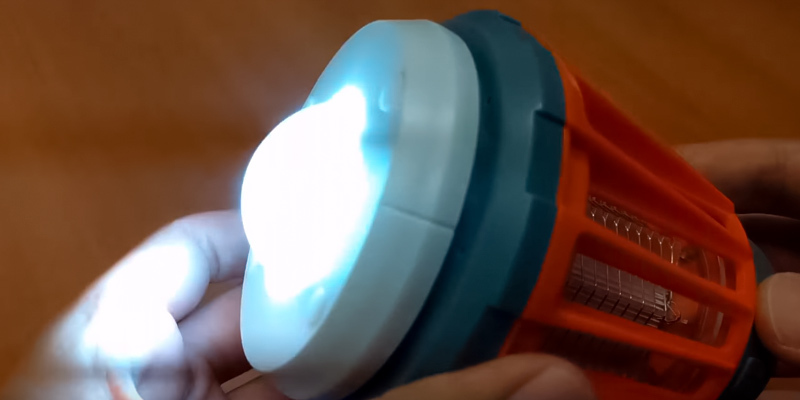 The device comes with a built-in rechargeable battery that can either give you 20 hours of runtime using the lantern-only setting (low light, ≥ 30 lumen) or 15 hours with the zapper-only feature. 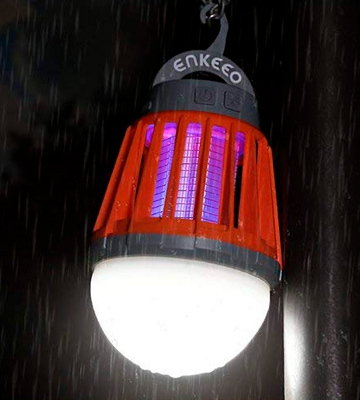 In short, ENKEEO 213434001 is great both as a lantern and a mosquito zapper. It weighs less than half a pound, so you can always bring it with you on a camping trip. The price is reasonable and the controls are really helpful. 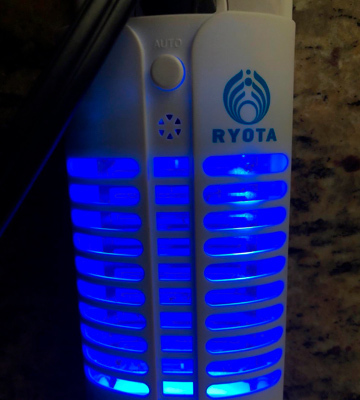 RYOTA Electric Bug Zapper has a lot going for it. First, the price. It won't cost you more than 15 bucks, not bad considering how effective it is (more on that later). With a 500 square feet coverage area, this thing will be able to keep the entire house mosquito-free. That being said, the electrified grid is relatively weak. 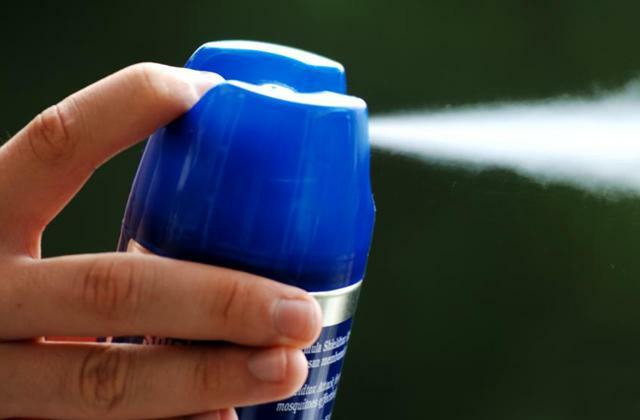 It is powerful enough for mosquitoes, moths, and flies but it will likely only paralyze and not neutralize larger insects. But it does come equipped with a UV light. The latter attracts the mosquitoes, while the aforementioned electrified grid puts them out of their misery. As far as we're concerned, what really sells this mosquito is just how convenient and practical it is. Noiseless, odorless, and easy-to-use, this thing doesn't inconvenience you in any way, shape, or form. Plus, it comes equipped with a smart optical sensor that detects the lighting situation in the room and automatically turns off/on when it is bright/dark in the room. Finally, there's size and appearance. The user-friendly, high-tech, mostly attractive design will help the product, at the very least, not to stand out in a negative fashion. Considering its minuscule size that adds up to just 2.9" x 2.5" x 5.2" in overall dimensions, it won't require too much space. 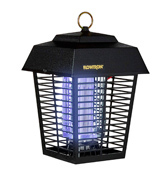 All things considered, RYOTA Electric Mosquito Killer/Bug Zapper is a great mosquito killer for indoor use that could fit most customers suffering from a mosquito issue. It doesn't cost a whole lot. It doesn't inconvenience the user. You can put it practically anywhere and the device will get the job done. Plus, it covers a surprisingly large area. 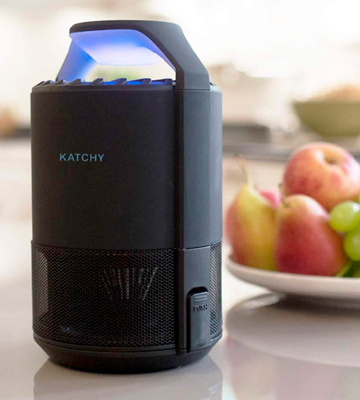 With a name like KATCHY, you have to deliver a product capable of catching insects and, in that regard, this mosquito killer does not disappoint. Though it doesn't incorporate an electrified grid that fries these annoying pests, the model does include an ultraviolet light that does a solid job attracting and luring mosquitoes, flies, and moths. After that, a powerful fan and a sticky glue board come into play. Sure, a glue board like that has its flaws. It doesn't look quite as sophisticated as an electrified grid. Plus, it loses its adhesive properties after some time. That being said, it is also really easy to replace. Where an inferior grid might not completely neutralize the threat, a bug caught in the sticky glue won't be able to escape. Plus, a single pad usually lasts for about a month, so it's not like you'll have to replace them all that often. The model's coverage area isn't too shabby either, capable of keeping up to 320 square feet mosquito-free. You can power it via USB or AC. As far as functionality goes, the most interesting part is the mode choices. 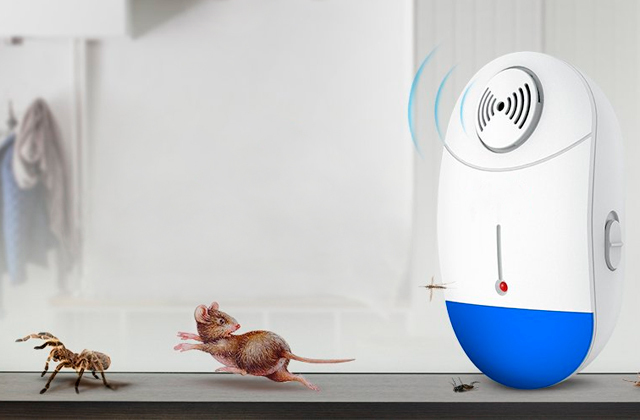 You can go with Super Mode to effectively execute every insect in the nearby vicinity or stick with the Silent Mode and be able to sleep at night without mosquitoes and noises coming from the device. 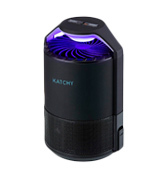 In other words, Katchy mosquito killer is a little different compared to every other device in this review. But "different" isn't a bad thing here. In some ways, it is actually a much more practical and effective product. Though not without its flaws, the model deserves a spot on our list. Mosquitoes are the worst. They're annoying, frustrating, irritating, just unbearable. They carry a whole bunch of diseases and are actually responsible for more deaths than every single animal on the planet (bar humans) combined, killing more than a staggering one million people per year. From the dengue virus to malaria, there's nothing pleasant about these awful creatures. You absolutely do not have to feel bad about wanting to kill them. Screw them and their eyebrows. They can go elsewhere, harass other individual or animal. With a proper mosquito killer by your side, you won't have to deal with them anymore. 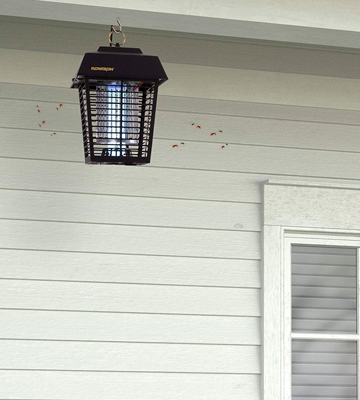 One way or another, these lantern-looking electronic solutions are able to neutralize and eliminate mosquitoes, as well as moths, flies, and lots of different pests. 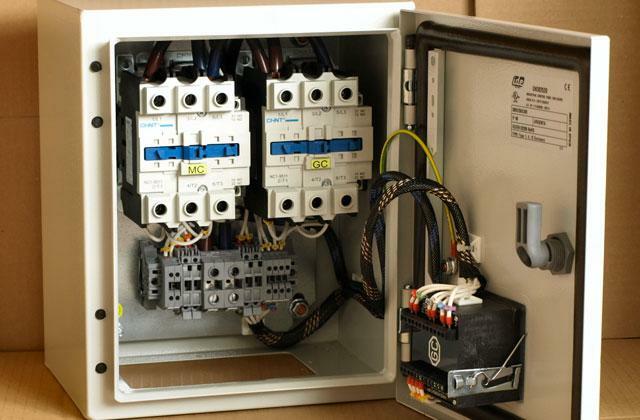 They vary in terms of size, coverage area, sometimes working principle and power source. 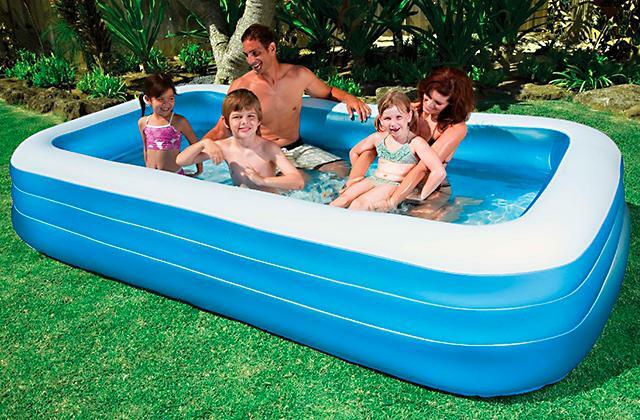 But every model here is effective enough to allow you to enjoy a mosquito-free life. In our reviews, you'll find all of the necessary information to make the right choice and figure out the best defense mechanism against flying insects. Most of these devices are equipped to deal with flies. That being said, they still can't hold a candle to a good fly killer in that regard. Other times, a bug zapper will prove more effective than either of these contraptions.